Motorola has announced today that the Motorola DROID Ultra, Motorola DROID Maxx and the Motorola DROID Mini will not be receiving the update to Android 5.0 as originally planned. The bad news was posted in a Google + account owned by David Schuster, Senior Director, Software Product Management at Motorola. Motorola is trying to curry favor with those who own one of those three models by offering them a discount on the Motorola DROID Turbo 2 and the Motorola DROID Maxx 2. With this special deal, the DROID Turbo 2 is priced at $524. That is a $100 price break on the first smartphone with an unbreakable screen. 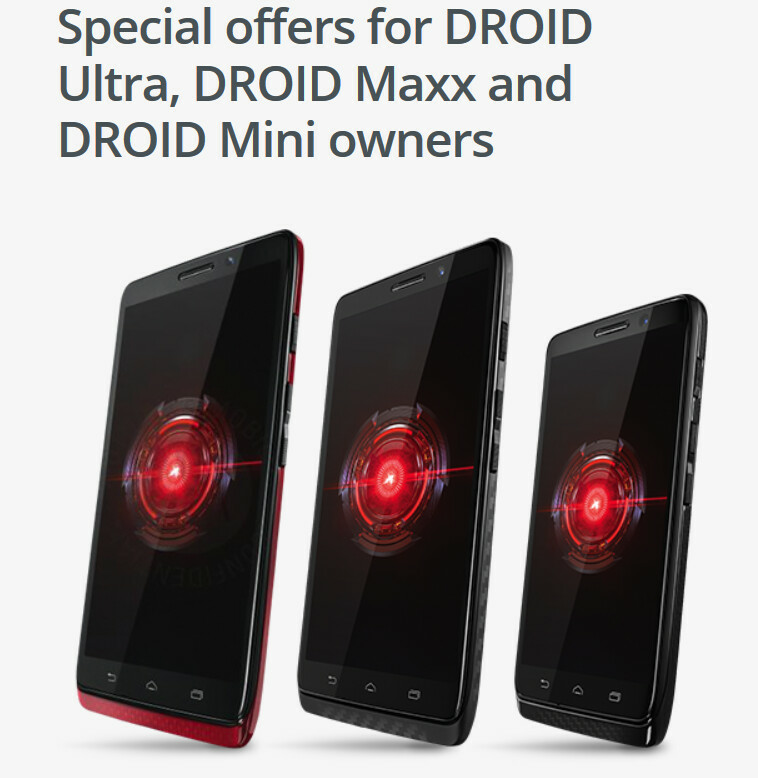 If the DROID Turbo 2 is too much of a phone for you, you can decide to take advantage of Motorola's special offer on the Motorola DROID Maxx 2. Normally $384, Motorola will take $50 off for those Ultra, Maxx and Mini owners who won't be getting Android 5.0 on their phone. You can't really put a price on an update, but Motorola is figuring that missing out on Android 5.0 is worth between $50 and $100 to owners of those three phones that will be stuck with Android 4.4 forever. You can take advantage of what Motorola is offering by clicking on the sourcelink and filling out the form provided by Motorola. 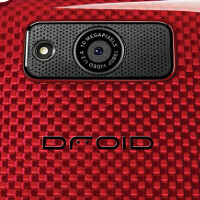 All you need in the way of information is the unique IMEI number assigned to each individual model, your phone number, and the serial number of your DROID Ultra, DROID Maxx or DROID Mini. Requests for a coupon code must be received by May 19th. The code must be used by June 2. Didn't Motorola already do this last year? Motorola X pure edition is a way better deal, and better device for roughly the same price. What about those owners who don't want to upgrade their phone? SOL? They're saying in a nutshell: "We're screwing you over, but as a consolation, give us money for another phone we'll screw you over with." And this is why carrier exclusives are an awful idea. OR SAMSUNG, OR HTC OR LG... FINALLY SWITCH TO iPHONE. HAD NEXUS 2,3,4,5,6... I had enough of broken promises. If you really had all those Nexus models you listed- what promises could they have broken? Tejadku is just trolling. He is advertising his love for Apple. Yet what he is show to the world is how ignorant he really is. People want to blame Motorola, however Verizon puts their own crappy software on these exclusive devices. So in reality it is Verizon that is giving Motorola a bad name by not updating their exclusive devices made by Motorola. Verizon is the one that is controlling all the software on these Motorola made devices. Anyway, these are 2+ year old devices, so I am not sure what the big deal is. Because Motorola originally planned to update these phones to lollipop. Their Ui is also close to stock so it's not too difficult to update. The Galaxy S4 and Lg G2 got upgraded to lollipop so why cant Motorola? Good point. I guess I was looking at it more from they are just a 2+ year old device, but yes, they are stockish and should have had no issues receiving this before now. This is one of the reasons I couldn't bring myself to get the Turbo 2. See above. You are correct. It should have happened long before now. I'm certain it likely has to do with the fact they now have successors and they want people to upgrade. Yeah, why should they be desperate for an OS release from 2014 anyways? Actually, the ultra line was/is locked. Custom roms on those phones were next to non-existent. So they are not going to have to deal with lollipop, and getting money! Double win. Lol, comment of the year. Huh? They aren't getting lollipop. And no one is getting a check, they are just giving discounts on buying a new phone. Not even remotely the same thing. Is this Motorola's fault or Verizon's? That's what I was thinking. Moto/Lenovo needs to sever that stupid "droid" contract with VZW. Every carrier exclusive device I have ever owned has burned me. I will never buy another for that reason alone. Verizon is definitely the one to blame here. Although Motorola made these devices. It is Verizon that controls and updates the software of these devices. So let me get this straight.... you want customers to trust you into investing MORE money after you already screwed them once? No consumer loyalty. I could see them offering a better deal. Hell, I could see them even partnering with Spotify to let the affected users get 6 months of free service. Anything that doesn't make someone BUY something. I don't know about the spotify thing, but if they were smart they would allow you to submit a claim for a 25 dollar google play gift card or something similar. That way it can be used on various items. If they can't honor their 2 year support commitment on carrier exclusive devices, then they need to stop offering them.